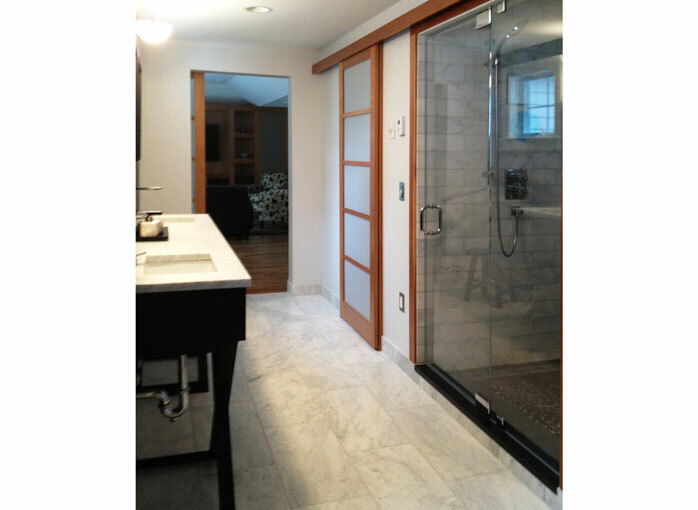 I worked very closely with the homeowners in creating this Asian inspired master bathroom. The materials used, as well as the design choices, had to be user-friendly while giving them the luxury suite they desired. 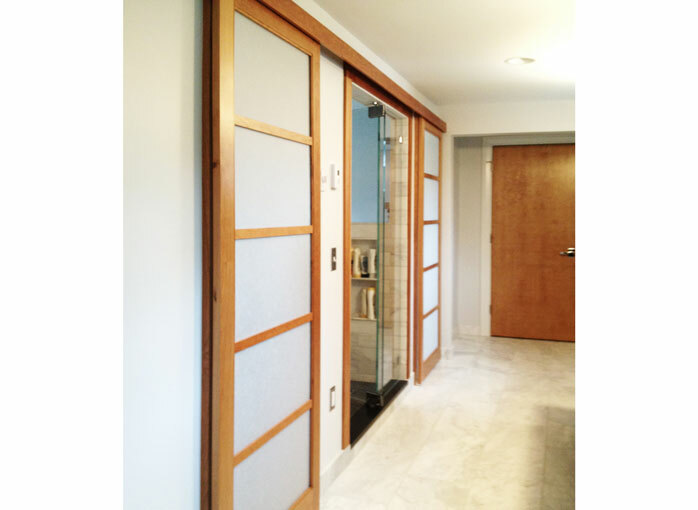 The Shoji-screen doors hide a walk-in and the water closet. 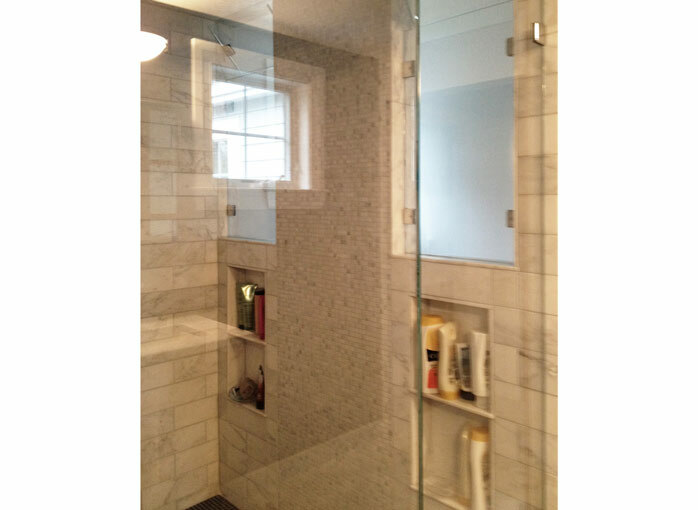 The shower was custom designed to let the natural light in, so that the space did not feel too confined. 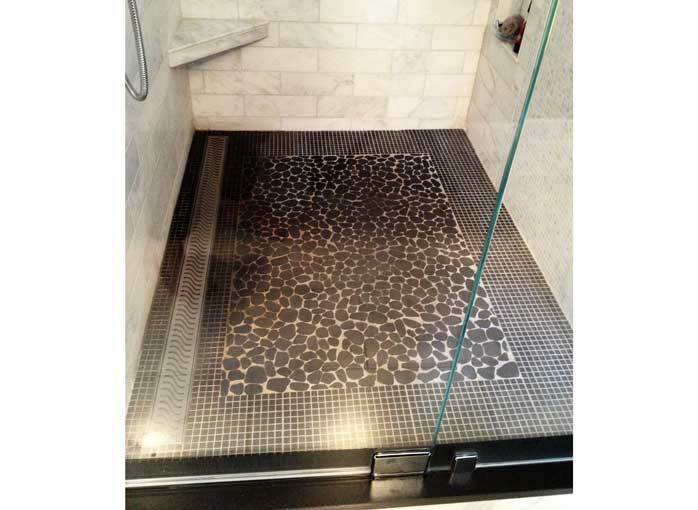 The tasteful mix of tile and cherry wood give an Asian feel to the space. 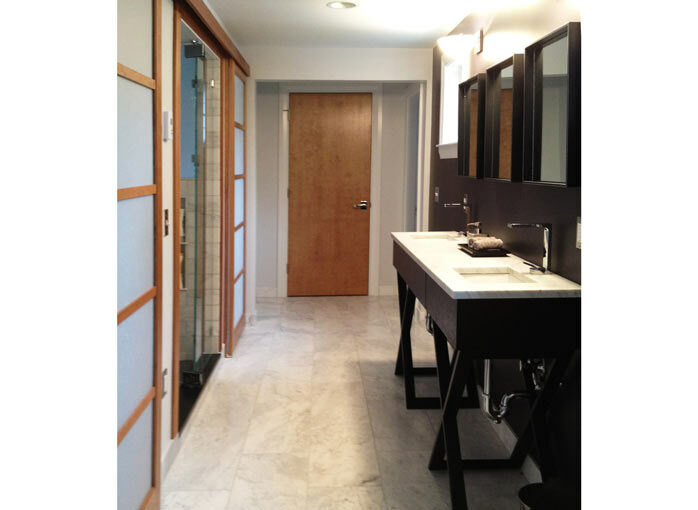 The vanity was a must-have for the homeowner, who loved it at first sight.